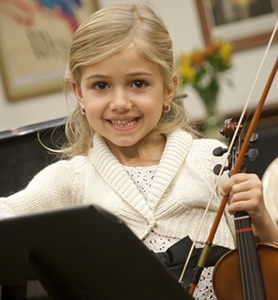 Our strings program offers private instruction in violin, viola or cello. 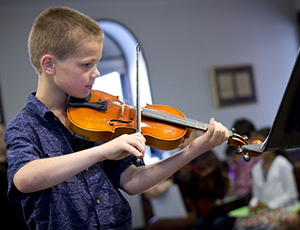 Our private string instrument lessons start with students as young as age 5 and we have many adult students as well. For younger children the parent may want to sit in on the lesson to help the student at home with things such as posture and hand positioning. Our teacher will instruct the parent about what kind of assistance to offer the student at home. Our violin, viola and cello teachers have university or college degrees in their instrument and perform regularly with local orchestras and ensembles. Contact Us Now for More Information.